Isaac Joseph has created a customized build of Unity that adds missing features to Unity Shell. This build can be easily installed from PPA and it packs following features. 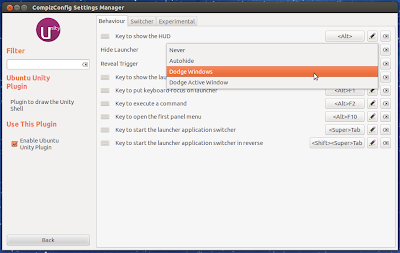 Dodge windows functionality added back for the Unity launcher. 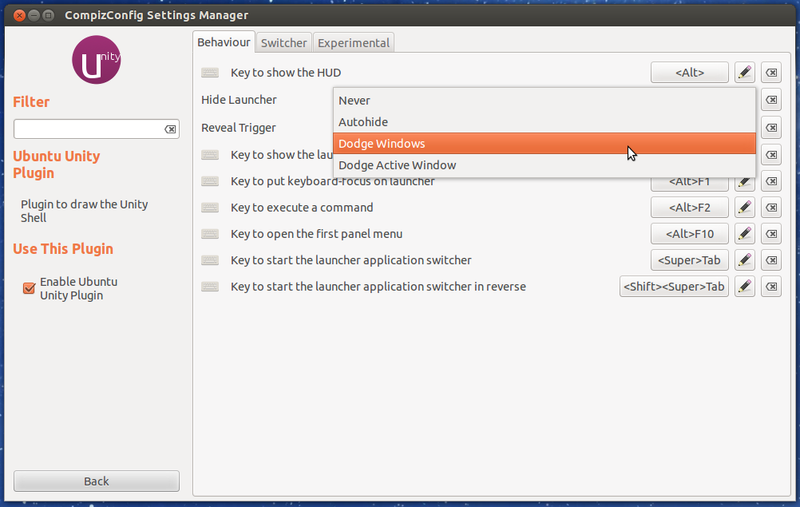 This features was removed from Ubuntu 12.04. You can select this option from CCSM (logout to take effect). Minimize on click behavior added to the launcher. If there's one window opened, the application will minimize/unminimize. If there are multiple windows opened, the spread behavior will occur.